You've got to move it from here to there . . . and with onlyone individual. No problem. 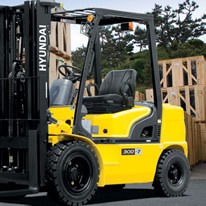 Check out Hyundai Forklift of Southern California's material handling equipment. Our ten-year track record of offering superior quality pallet trucks proves an excellent choice for material handling equipment. The company's manual pallet jacks are cost effective. 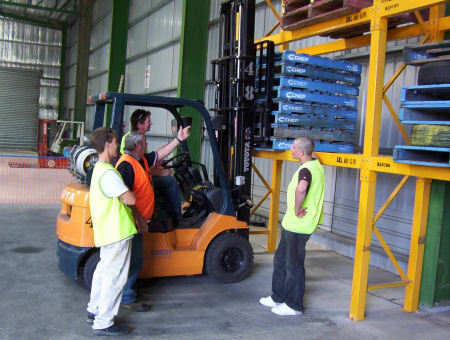 With a variety of sizes and capacities - you can even contact us with your special needs - finding the right material handling equipment should be a snap. 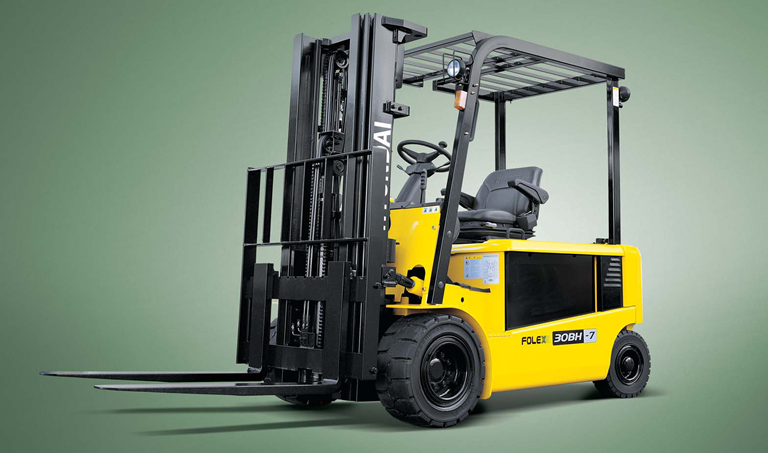 Take our Model 4500, which touts a 5,500-pound capacity, low profile, 2 5/8-inch lowered height and, 3-position handle. Then again, our Model 1000 (4,500-pound capacity, 2.9-inch lowered height and 3-position handle) or Model 2000 (5,500-pound capacity, 2.9-inch lowered height and 3-position handle) is the ticket for you.